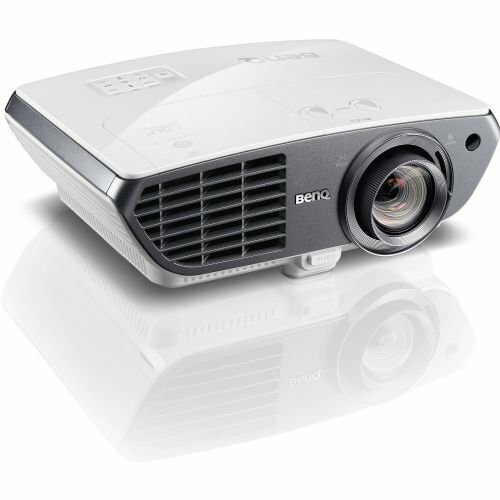 The HT4050 Full HD 3D DLP Home Theater Projector from BenQ offers cinematic images with audio and video enhancements, thanks to Rec. 709 color reproduction. Rec. 709 is a color standard that showcases the projector's ability to produce life-like color saturation. This 2000 lumen projector is equipped with a DLP light engine and a 260W lamp that provides up to 2000 hours of life in normal mode and 4000 hours in SmartEco mode. The HT4050 sports a Full HD 1920 x 1080 native resolution for displaying detailed 1080p images. Furthermore, the HT4050 features a 1.15 to 1.86:1 throw ratio and can project images up to 196". With VGA, composite video, component video, and dual HDMI inputs, this projector can accept a wide range of video sources. One if its HDMI connections supports MHL, which allows you to mirror and charge compatible devices such as smartphones. There's also a USB interface on-board for USB-powered devices such as portable streaming players. The HT4050 also incorporates a powerful 10W speaker for audio playback, 10,000:1 contrast ratio, and a 1.6x optical zoom. Box Dimensions (LxWxH) 15.3 x 13.6 x 8.6"